Why are One arm Dumbbell rows such an effective back exercise? One Arm Dumbbell Rows is an excellent full range exercise to build the lats muscles. Check the correct execution technique and blast your lats now. One Arm Dumbbell Rows helps to work on each side independently, thereby better muscle isolation and longer range of motion. Its a favorite among bodybuilders. 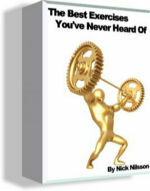 Its an excellent alternative to Barbell rows. 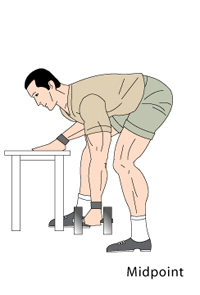 This exercise is done with a heavy dumbbell with your body supported by a bench. Bend forward on a bench with your one leg and arm placed on the bench as shown in the picture. Lift the dumbbell up your side using your back muscles rather than the arm. 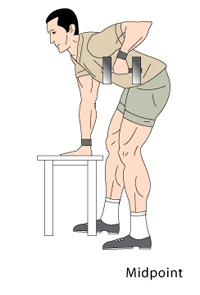 Lower the dumbbell as low as possible feeling a good lats spread. Keep motion under strict control for better isolation. Using momentum will result in less effective exercise. Although arm involvement is obvious, remember rowing is a back exercise. Concentrate on shoulder retraction rather than arms exercise. Maintain a tight abdomen. It helps generate power. Keep a straight back throughout the exercise and don't slouch your shoulders. 1. Support your upper body on a bench as it will reduce fatigue in your lower back muscles. This affects the lifts as it increases the number of reps you can perform.